There're Laser etched transparent serial number, black number and barcode printing to be incorporated on the hologram sticker to add custom design data onto holograms and enhance hologram security. B. Transparent Laser Etched Sequential number, Transparent Dual/Triple Serial number/Logo, which is engraved/etched by laser beam provides good security for your products & documents. It has much better security feature than ink overprinting sequential number. 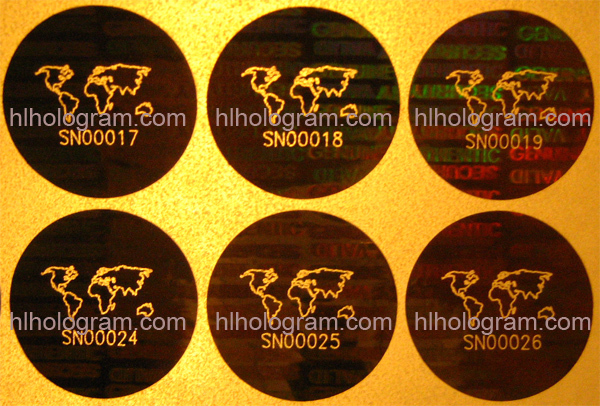 We can etch different shape image/logo/text on hologram stickers by laser beam engraving. We also can recombine sequential number with some your unique images on hologram sticker such as well as dual, triple numbering. There're photoes of laser etched serial number holographic sticker cardboard below. 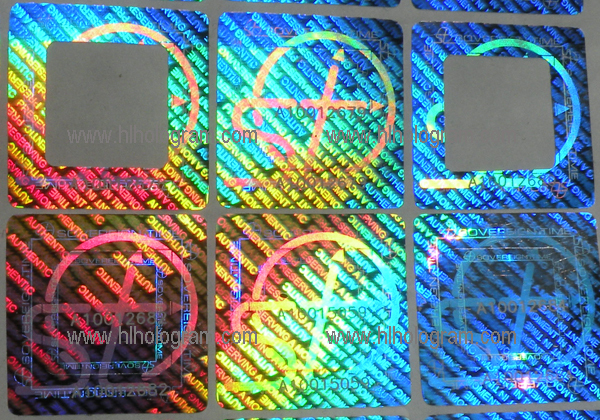 Holographic label with dual laser etched serial number '013307' ,'013307' , '013308' ,'013308' . It's pair serial number. 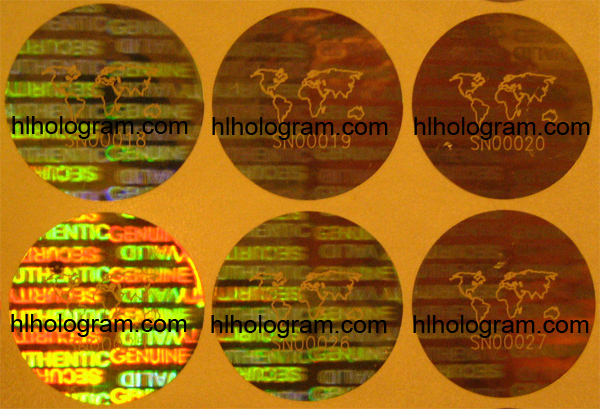 Hologram sticker with dual laser etched serial number '016262' ,'016262' , '016263' ,'016263' . It's pair serial number. 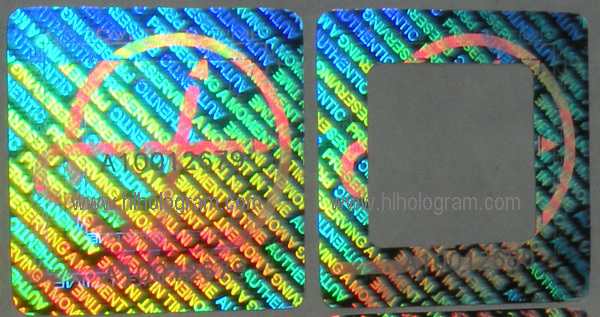 Holographic label with dual laser etched serial number '013307' ,'013307'. This double serial number is one set numbering for security. This hologram is VOID tamper evident holographic label. 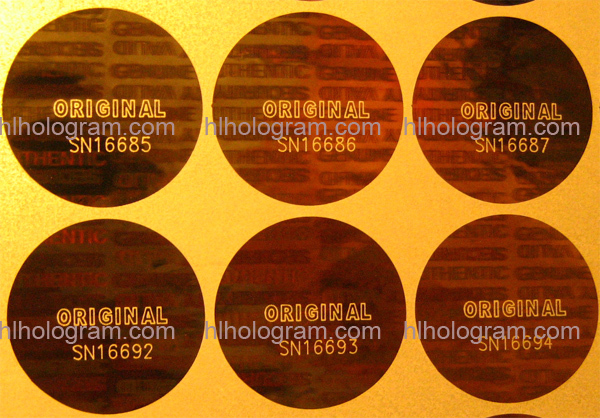 Holographic sticker with dual laser etched serial number '013303' ,'013303'. This double serial number is one set numbering for security. 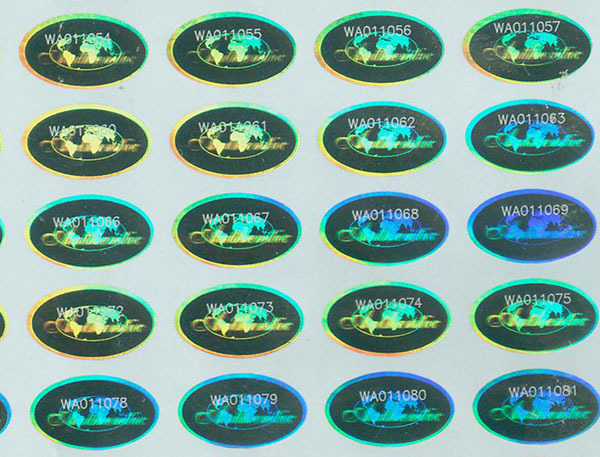 Holographic label with dual laser etched serial number 'A10012682' ,'A10012683'. This double serial number is one set numbering for security. Holographic label with dual laser etched serial number 'A10012679' , This double serial number is one set numbering for security. Demetalized hologram with serial number. Demetalized hologram with serial number. Transparent Serial Number on Hologram Sticker. 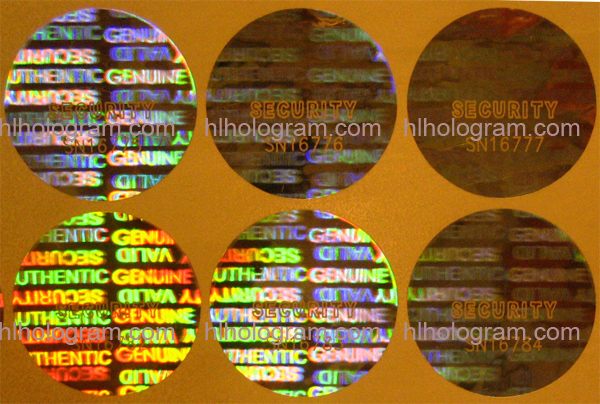 Demetalized hologram with serial number. We can make your logo or company on the sticker with serial number too.